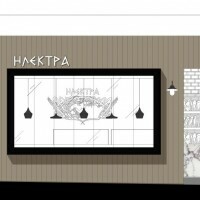 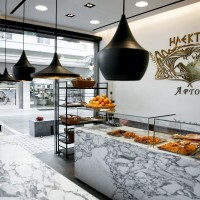 Studioprototype Architects have designed the Elektra Bakery in Edessa, Greece. 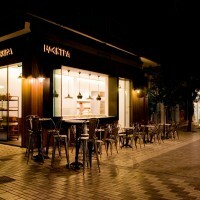 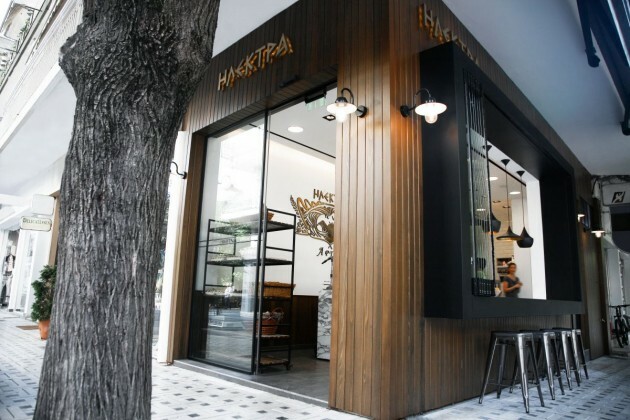 This shop is part of a chain of family-run bakeries called ‘Elektra’ located in Edessa, Greece. 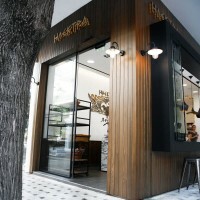 Studioprototype had the opportunity to redefine the look of its shops with this pilot project. 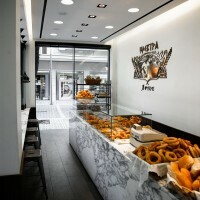 The shop is small, covering only thirty-five square metres and occupies a strategic corner on the main pedestrian high street. 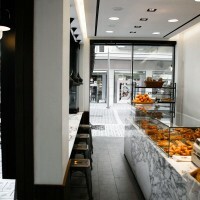 Working with a narrow, linear floor plan a rigorous language was developed for the shop based on a long marble food counter acting as a monolithic focal point of the spatial arrangement. 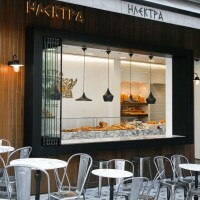 Light and luminosity flood the interior of the bakery accentuating the food items on display. 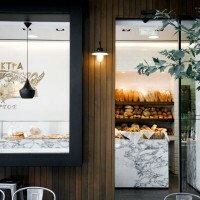 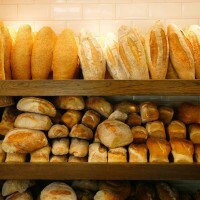 Exquisite materials such as Carrara marble, cedar wood and brass serve as the backdrop for all food products instilling the rustic and artisan aspect of making bread. 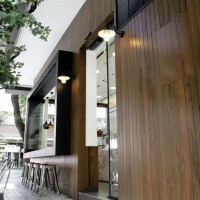 A sense of craftsmanship is imbued with the exterior of the shop clad in vertical cedar boards. 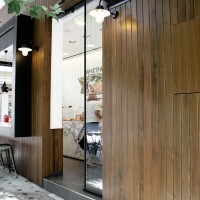 Punctuating the cedar cladding on the long facade, a black powder coated steel window box projects outwards beyond the ‘crust’ of the shop, expanding the space to serve as a seating area and bar for customers inside and outside the shop. 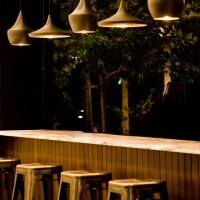 Carefully selected furniture by Xavier Pauchard and lights by Tom Dixon completes the overall composition. 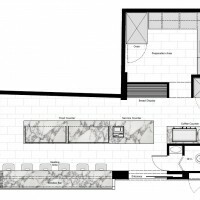 Visit the Studioprototype website – here.